This site is now an archive of the 2009-10 Storefront Library at 640 Washington Street. To follow the outcome of this project and see new work, visit us at Street Lab. – Mayor Marty Walsh’s State of the City Address, January 17, 2017. 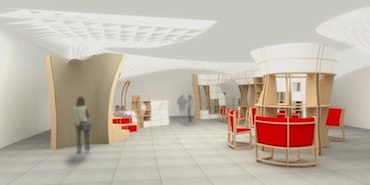 The last day of the Storefront Library at 640 Washington St. will be Sunday, January 17, 2010. If you haven’t had a chance to come by, please do! This weekend, in addition to storytime and a special science activity, we’ll be giving tours for the American Librarians’ Association Midwinter Conference. Thank you to our host Archstone for extending the donation of the storefront space into 2010. The extension let us serve more patrons, gather more evaluation data, and capture the attention of librarians nationwide coming to Boston. 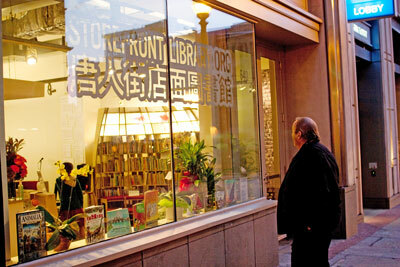 We’re optimistic about what happens next—both for Chinatown and for other experiments in the model of the Storefront Library. 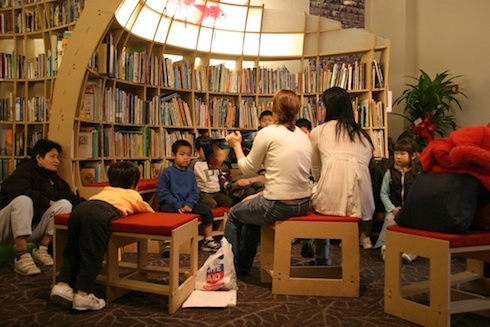 Click “Continued” below for a detailed description of how we will disperse some of the components of the Storefront Library to seed emerging projects in the neighborhood, including a new community reading room in development by Friends of the Chinatown Library. 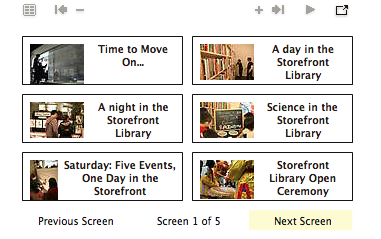 We’ll continue to report on the progress of these projects and ongoing efforts to bring library services to the neighborhood at storefrontlibrary.org. 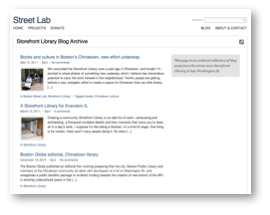 Although it’s time for us to move on from this space, Boston Street Lab is already working on several new projects that build on what we’ve learned. Watch for a new outdoor project based on the language learning programs and translation services you experienced in the Storefront Library. So, although we’re moving on, we’re not going away—let’s keep in touch. It has been a thrill and an honor to work on this remarkable project with all of you.